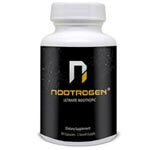 There are a lot of nootropic supplements out there and many of them cast a broad net in regards to functionality. In other words, they do a lot of things for the brain. Some are more specialized and concentrate on maybe just a few areas of cognitive function. 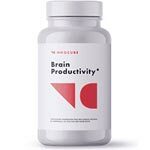 This is the type of nootropic supplement that Vitalmood is. 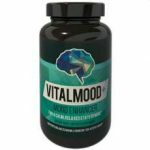 Vitalmood is billed as a mood enhancer that can clear away mental fog while providing you with focus and energy. The product is described as something as an alternative to harsh stimulants, caffeine, and energy drinks that can leave you with a crash. It is most certainly a dietary supplement but moreover, one that is natural and will not leave you depleted when all is said and done. We are also told that Vitalmood will help relieve stress and allow you to relax and concentrate as you need to. Who is the Manufacturer of Vitalmood? The manufacturer of Vitalmood seems to be a company called simply, Vitalmood. It would also appear that the company and the product itself are relatively new but we do know that they are a company that specializes in nootropic supplements that are stated to help your brain cut through the mental fog of daily life, and even out your moods so that you can function better cognitively. This product, one must remember, works like a dietary supplement. There are no outside sources of brain power that come with Vitalmood. Instead it is filled with nutrients that work with the natural functions of your brain. It also stated that Vitalmood works unlike common caffeine energy drinks in that it won’t cause a crash. Instead, it is supposed to supply your brain with clean energy. What are the Ingredients in Vitalmood? While the manufacturer has seen fit to leave out information about what is in Vitalmood, we were able to find one source that gives a list of ingredients for this product. Be sure to ask your doctor about the ingredients in Vitalmood before actually taking it. Dimethylaminoethanol – This is a fatty substance the essentially covers brain cells and to protect them and carry messages between them. Bacopin – A variant of bacopa, bacopin may be used to improve memory and promote healthy cognitive function. Tyrosine – Tyrosine is an amino acid that may help with stress management by producing certain adrenal hormones. GABA – GABA is short for gamma-aminobutyric acid and is used for treating depression and anxiety. L-Pyroglutamic – This amino acid derivative may be able to increase the activity of neurotransmitters that deal with stress management and mood elevation. L-Glutamine – This amino acid affects the processes that create new cells in various parts of the body. What are the Advantages of Vitalmood? It may be possible for Vitalmood to help you stave off stress and anxiety. Vitalmood may be able to preserve certain brain cells. This product may be able to help keep you focused when you need to stay on point. Vitalmood may also have the advantage of providing you with more cognitive energy. What are the Disadvantages of Vitalmood? This product has not been on the market for very long so it may not have had its statements substantiated. Vitalmood may not be as effective as pharmaceutical strength treatments for anxiety. You may need to do other things in your daily life in order for Vitalmood to have an optimal effect. We are not provided a list of ingredients from the first-party website for Vitalmood. How Should You Take Vitalmood? As we are not told any instructions on the Vitalmood site, we turn to third-party sources of information which tell us that one pill of Vitalmood a day is a sufficient dose. How Much Does Vitalmood Cost? According to one source, you pay only $4.99 for the first bottle of Vitalmood but you must cancel your subscription within 14 days or else you will be charged an additional $84.95. What is Vitalmood’s Return Policy? Unfortunately we were unable to find any information about Vitalmood’s return policy. You may have to contact the distributor directly to get this information. Does Vitalmood Offer A Free Trial? Technically yes. The free trial bottle will only cost shipping which is $4.99. However, you must cancel your subscription enrollment within fourteen days to avoid further charges. Vitalmood comes with a balanced set of benefits and drawbacks. First the benefits. Some of the benefits of Vitalmood are that it may protect your brain from age-related damages, it may be able to help you focus more clearly, and it could provide you with clean mental energy. Now the drawbacks. The drawbacks to this product are that it may not be as effective as a prescribed drug to treat depression and anxiety, it has not been around long enough to be thoroughly studied, and you may need to alter your lifestyle in order for it to work properly. Our recommendation, if you are serious about Vitalmood, is that you keep your options open and don’t shy away from reading into other best nootropics products.